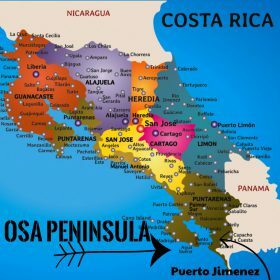 Costa Rica is located in southern Central America, south of Nicaragua and north of Panama. It is bordered to the west by the Pacific Ocean, and to the east by the Caribbean Sea. San Jose, located in the center of the country, is the capital city and will be your arrival and departure point. Puerto Jimenez is located approximately 180 miles from San Jose. 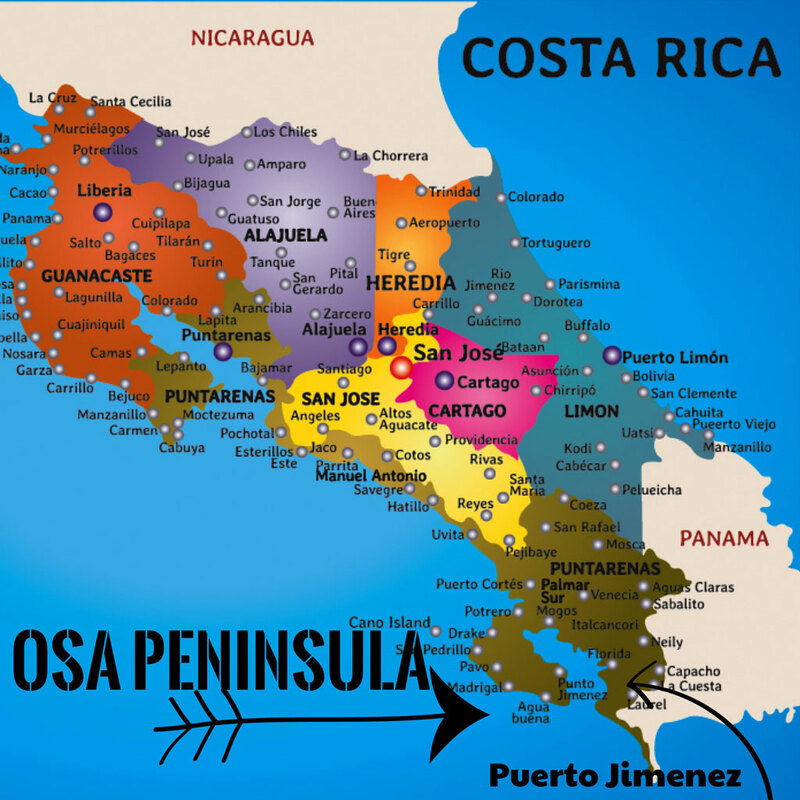 The Osa Peninsula is Costa Rica’s southernmost peninsula on the Pacific side. There is a large gulf between the peninsula and the mainland, called the Golfo Dulce (‘sweet gulf’). 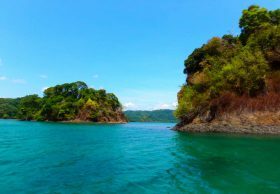 The Golfo Dulce is one of only four tropical fiords in the world, reaching depths of 700 feet and averaging 84 degrees year round. The gulf is home to various species of dolphins, sea turtles, whales, and much more. 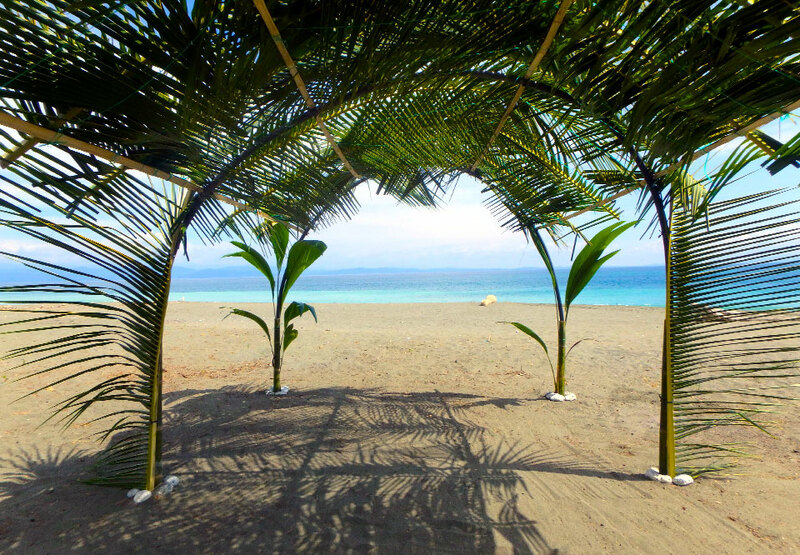 The largest town on the Osa Peninsula is Puerto Jimenez (population approximately 3500). Across the gulf from Jimenez is the port town of Golfito. The Osa Peninsula is repeatedly described as one of the most biologically intense places in the world. 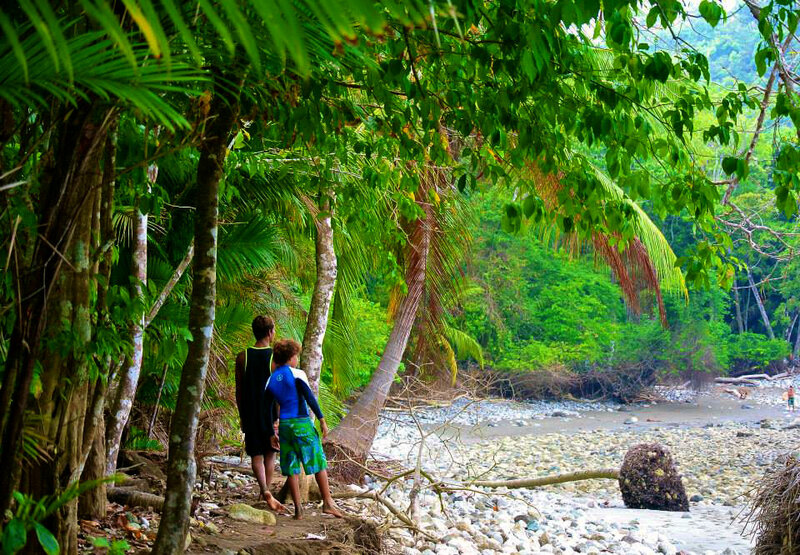 This region offers the potential to see more wildlife and rainforest than in any other place in Costa Rica. 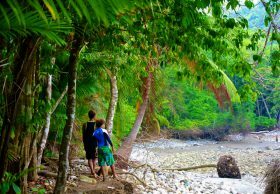 Three quarters of the Osa Peninsula are officially protected as either national park or forest reserve. To this day, the Osa is considered the most uninhabited and untamed part of Costa Rica. Corcovado National Park itself contains 1/3 (approximately 100,000 acres) of the land in the peninsula; it was placed into protected status as a national park in 1975.